This all a bit humdrum to me when compared to wonderfull music like Tangram.Its well produced though and has a functional quality and the synths are atmospheric and strong.However its totally lacking in any originality and has little in the way of any real thought in composition as it just seems to tootle along ineffectually.Truly only for TD completionists. 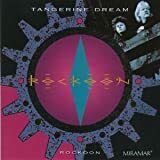 Longtime fans of Tangerine Dream know exactly where to look for Jerome Froese (the infant son of band leader Edgar Froese) on just about all of their classic early album covers. And here he was again in 1992, suddenly grown to young adulthood, and this time joining his dad as a full-fledged member of the (yet again) re-constituted group. The question was whether this surprise injection of young blood would help invigorate a once vital but by then all but exhausted creative spirit. Not immediately, it seemed. I belatedly found this album soon after hearing the band's pedestrian 1988 effort "Optical Race", and was surprised (and more than a little discouraged) to note how little had changed in the intervening four years. The equipment was no doubt more sophisticated, but the music was (once again) stuck in the same shallow rut, proof that all the state-of- the-art electronics on Earth can't buy a decent melody. At this low point in their long (and even now still very much active) lifespan the group had devolved from electronic artists to wannabe rock stars making electronic music: a subtle distinction perhaps, but a necessary one. Half the album is credited to Edgar and Jerome; the rest to Jerome and Edgar, but for all the difference between them the whole thing might just as well have been composed and performed by a machine. The best tracks (a relative measure, to be sure) are at least blessed with enough energy to offset the lack of any genuine invention: "Graffiti Street", "City Dwarves", and the even more oddly titled album closer "Girls On Broadway". The rest of it is featureless, homogeneous filler, pleasant enough as a way to pass the time but hardly making any demands on your attention and/or imagination. Tangerine Dream certainly wasn't going to win any new disciples with this set. And the band's older, more discriminating fans could only defend it out of stubborn loyalty, still waiting (as they were by then all-too accustomed) for something better next time. While by no means a 100% accurate thermometer, it is often possible to gauge how much effort has gone into an album by the quality of the associated packaging. On that basis, "Rockoon" has all the feel of an album churned out as quickly as possible. 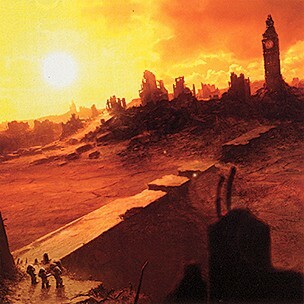 The cover image of a cog bearing the album name, the complete lack of a booklet as such, and the basic sleeve notes all combine to give the feel of an album which neither the band or the record company wished to promote with any great enthusiasm. 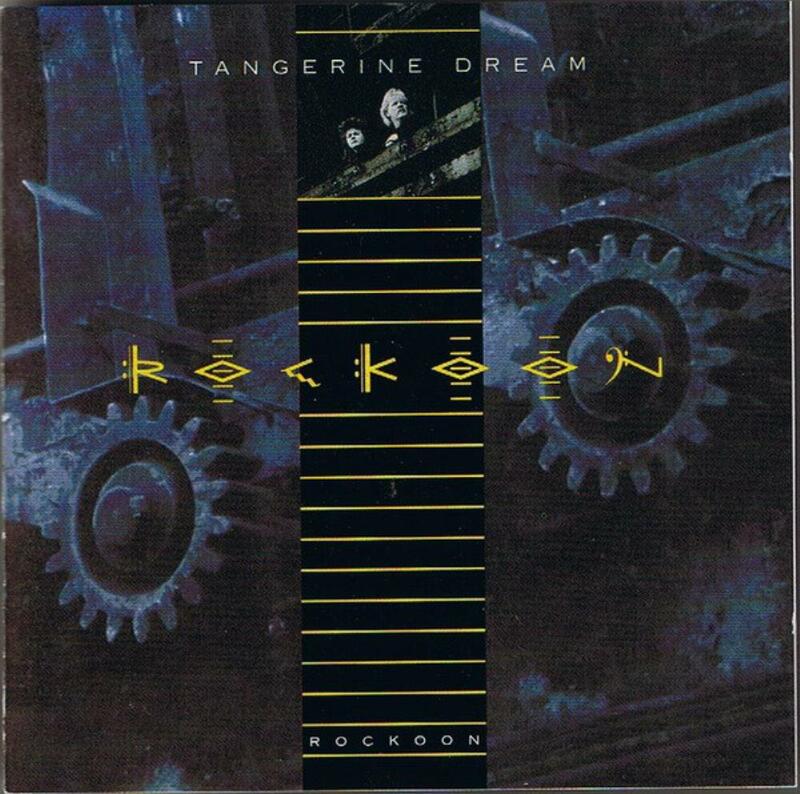 This 1992 album represents one of the many new phases in the life of Tangerine Dream. Here we find Jerome Froese, son of founder Edgar Froese, signing up as a fully fledged band member. Jerome is broken in pretty gently through some ambient, almost new age compositions which tend to be pleasant but unremarkable. The addition of lead guitar (Zlatko Perica) and flute plus sax (Richi Wester) on "Red Roadster" make this one of the standout pieces, but even here the ubiquitous synths of Edgar are the dominant sounds. Perica's lead guitar work can be found on several other tracks too, at least offering an element of variety in the sound. His guitar work here tends to be largely improvisational. The sax returns on "Lifted veil", lighting up the track and setting it apart as a real highlight. Unfortunately, this turns out to be the shortest track on the album at 3½ minutes. With the incredible number of albums released under the Tangerine Dream moniker, it is inevitable that some will seem ordinary and largely superfluous, while remaining a pleasant listen. That sums up "Rockoon" perfectly. It is obvious that the nineties are not the best TD period. The band (or "A" man?) released an awful lot of soundtracks and here and there, were able to "place" some studio or live recordings in between like "Rockoon". This album holds few great moments (if any) to tell the truth. 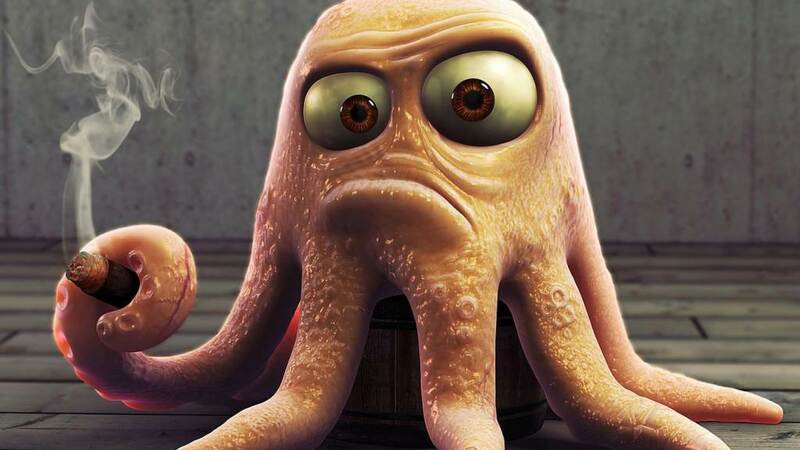 Of course, there aren't deadly blunders either, but the whole feels like no passion, no direction, no ? Just the minimum service. But can the devoted fan be pleased with such an album? The answer is easily "no" (since I believe to be part of the devoted TD fans). What's available here, is just a conjugation of short to middle length ambient tracks played without great texture, I'm afraid. Now, in my earlier thirty TD reviews or so, I have mostly always have been quite raving about the band. So: when it is not as good, I also have to tell it out here. And this almost hour long exercise is not a big deal of great music. Some fine guitar during "Graffiti Street" perhaps?But this is really too "short" as far as I'm concerned. At best some decent feel like "Spanish Love" (has this anything to do with my Mexican wife?). Some fine saxing in "Lifted Veil" do bring some added value, but the whole of this album is somewhat flat ("Penguin Reference" or " Body Corporate"). It is obvious that this sort of album is not made for a discovery of this great band. Only targeted towards seriously die-hard fans. This is only the fourth TD album which I rate with two stars. Out of a myriad so far (but the story is to be continued). This sufficiently shows that this effort can be easily skipped. At least rick Wakeman named the works with his sons as "Wakeman and Wakeman". This is a "Froese and Froese" album, first of all. Not another soundtrack,luckily, but I don't see a big difference. The tracks are made of the now usual electronic very borderline with newage, with some more guitar respect to the past, but sounding like what Pete Bardens was doing 10 years before. Not being a movie soundtrack gives the duo the possibility of placing some longer tracks, but the word "longer" is too streched for a 8 minutes track when speaking of a band once used to place a track by each LP side. I won't go track by track because they all sound very similar. Not bad at all, but after 10 years of this stuff, fans would have expected something different, also because of Jerome. As TD collector and fan I quite like also this album, but I can randomly choose everything from 1982 to 1992 and very likely find this kid of things. The bad is that I can find this kind of things also on newage compilations of the same period. As a big fan of the 1970-1985 periods of the band, I was really curious to listening to this controversial opus. Is "Rockoon" the worst TD album ever? I wouldn't say so. The band had reached a dead-end with "Melrose". Paul Haslinger has left, the german band is now Froese and son. At least they slightly evolved from the uninspired new-age material they produced during the late 80's, by incorporating a more rock-oriented music, and a tiny bit of saxophone. Although the second half of the record is rather flat, the first half contains some pleasant and dynamic tracks. Nevertheless, these tunes are not innovative or terrific either. At the same time, the new electro scene revolution was starting. 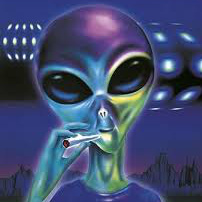 Progressive influenced formations like THE ORB, FUTURE SOUND OF LONDON or APHEX TWIN were offering much more modern and refreshing compositions. 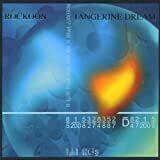 The beginning of 90's errance period for TANGERINE DREAM. I find "Rockoon" less boring than the previous "Melrose" and more lively than the next "Turn of the Tides". If you enjoy spacey rock guitars and if you're not afraid by dated electronic sounds, you may appreciate this record. 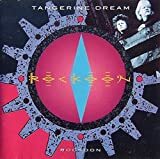 Post a review of TANGERINE DREAM "Rockoon"